The Wireless Take a Number System has many great features. 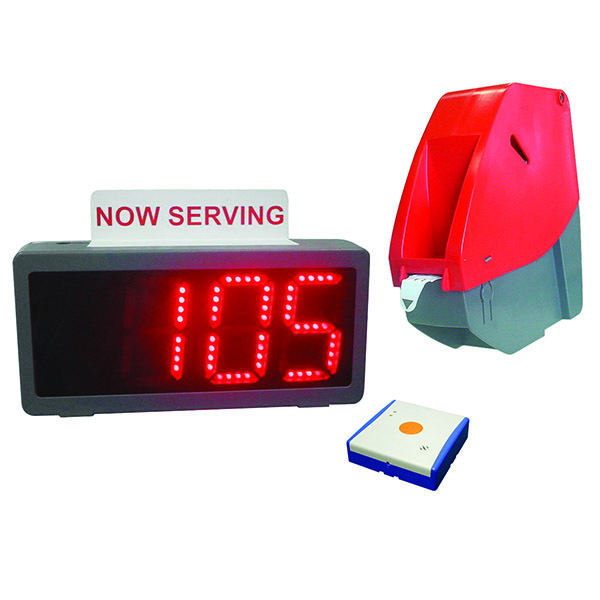 The Led display clearly displays 4 in. super-bright red LED characters. 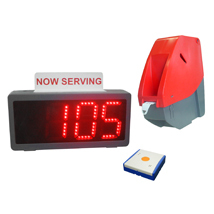 Displays up to 3 digits from 000 - 999. Security code protected. Easily mount to wall and connect the power adapter (included). Infrared remote has a wireless push button control activation. Communicates up to 100 ft.